UCMP has more than just the usual skeletons of dinosaurs, mammoths, and other prehistoric beasts; it has skeletons of leaves! 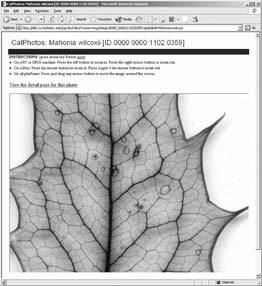 Known as cleared leaves, these leaves have been ìskeletonizedî using a chemical that removes pigments and other leaf contents to make the venation patterns, epidermis and margin more visible. Each leaf is then stained and mounted between glass or plexiglass slides for study with a microscope. 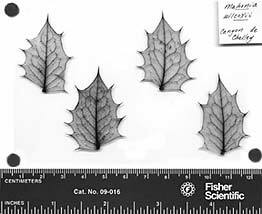 By analyzing the patterns and distinguishing characteristics of the leaves, paleobotanists can more readily identify the leaves and can infer past climates and even past predation. plants fingerprint) of fossil leaves to living plants, rather than relying only on shape and size. 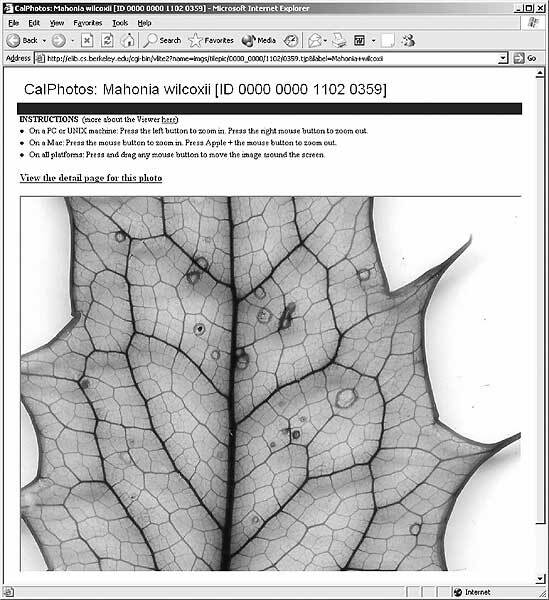 Since Fosters suggestion, many important collections have been made and interpreted by paleobotanists interested in species composition and paleoecosystems. One such study is of Tertiary forests, i.e., floras from the last 65 to 2 million years, and how the plants and their distributions and associations have evolved as the landscape and climate changed. Because Tertiary forests were found to contain woody trees and shrubs similar to those now growing in North America, Europe and Asia, the collections largely reflect the plants of these regions.